Cinnamon rolls are one of my favorite things to make. I love working with yeast and people think you're a genius when you present them with a pan of homemade cinnamon rolls made from cake mix. But they also can take a bit of time to whip up so sometimes I cheat and just use the good old fashioned cans of cinnamon rolls from the grocery store. 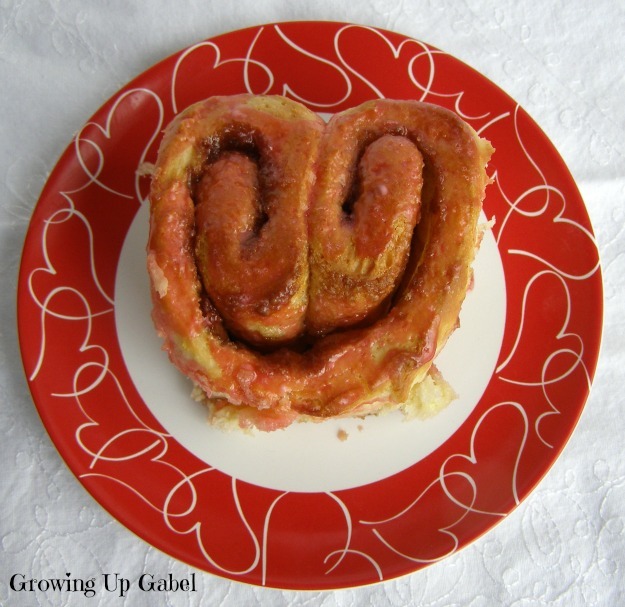 It's easy to turn the cans of cinnamon rolls into fun shapes for the season like these Santa Hat Cinnamon Rolls or Christmas Tree Cinnamon Rolls. In this case you can make them in to a fun heart shape for breakfast or Valentine's Day. Preheat the oven to 350 degrees and line a baking sheet with parchment paper. Open a package of 8 count cinnamon rolls. Set aside the container of frosting. 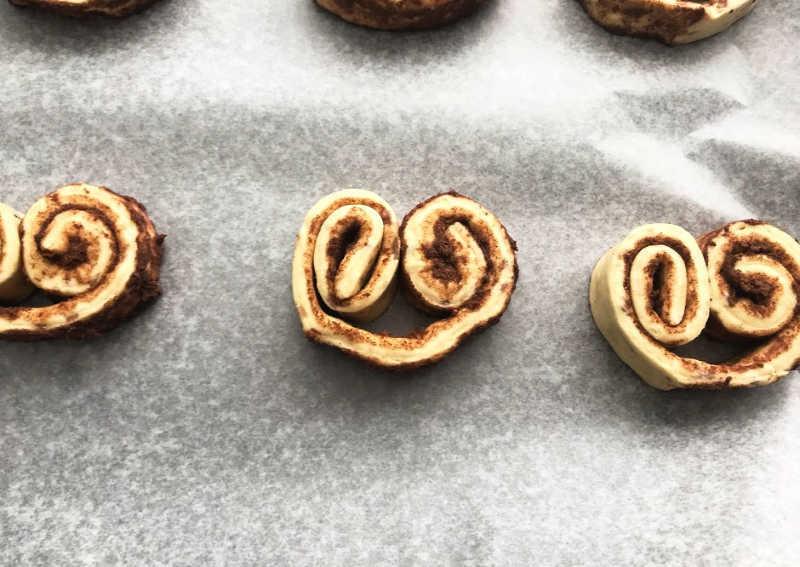 Gently unroll each cinnamon roll one at a time and start rolling both sides of the cinnamon roll up to form a heart shape and place on the baking sheet. Bake for 15 minutes or until done. Remove from oven and set aside to cool slightly. 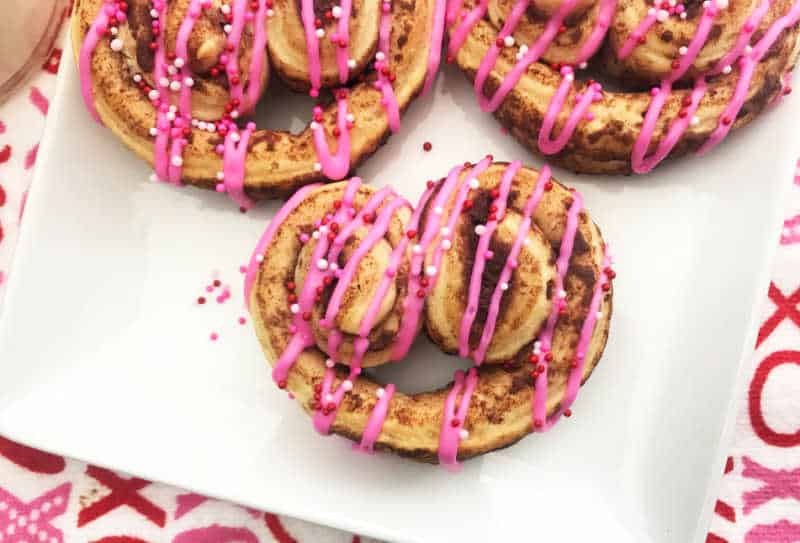 Mix together the frosting that came with the cinnamon rolls and pink food coloring until you get the color pink you like. 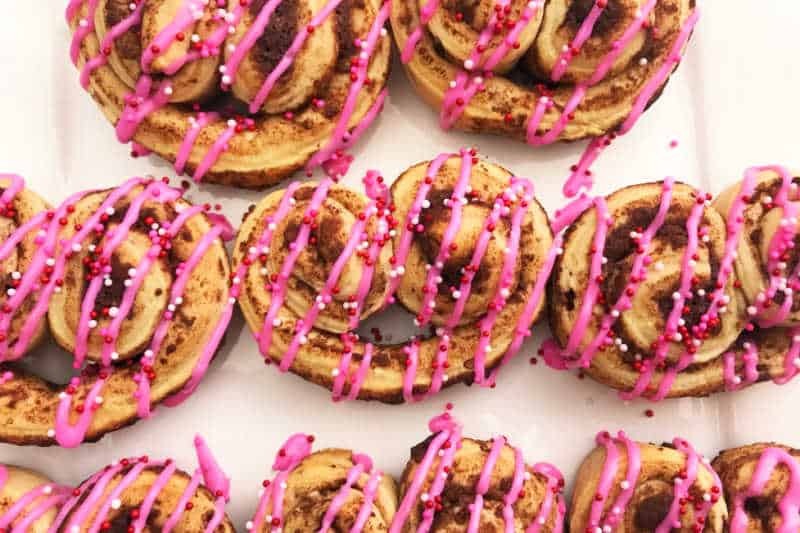 Use a spoon to drizzle the pink icing back and forth across the cinnamon rolls. Alternately, you can put the frosting in a small sandwich bag. Snip the corner of the bag and then use that to drizzle the icing over the rolls. Decorate with sprinkles, jimmies or other heart shaped decorations. 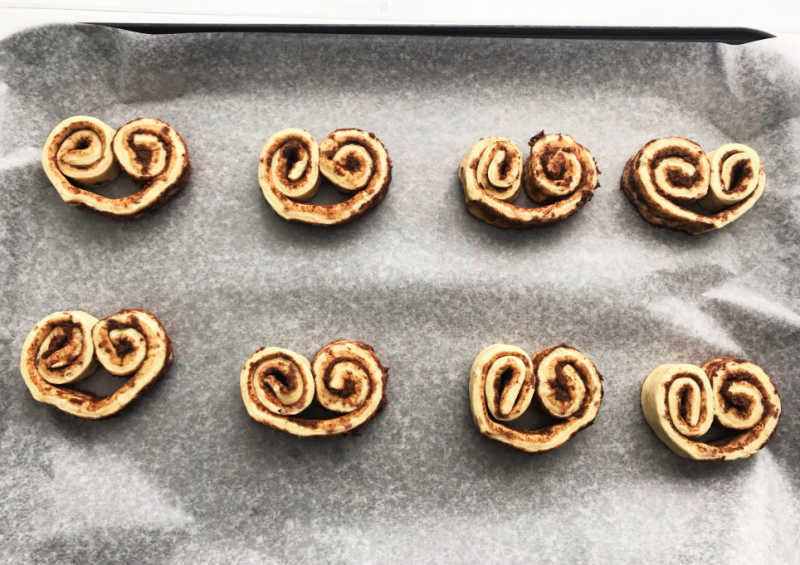 The process to transform normal cinnamon rolls in to heart shaped cinnamon rolls is fairly simple. Use any cinnamon roll recipe. Check out our How to Make Easy Homemade Cinnamon Rolls from Scratch with Cake Mix for a good place to start. You can even just use a basic pizza dough recipe. Just let it rise for an hour before rolling out in to the rectangle to make the rolls. 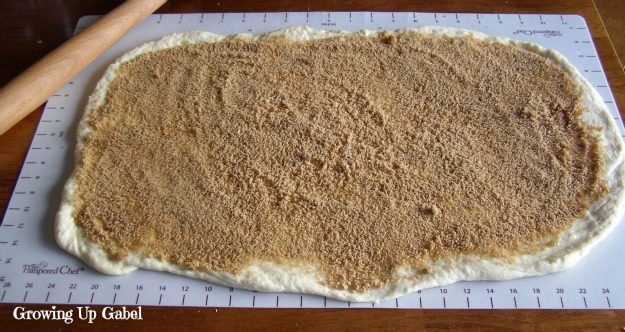 First, roll out your dough in to a rectangle about 16 inches long and 12 inches wide. Next brush 4 Tablespoons of melted butter on to the dough. Then Sprinkle with enough brown sugar to cover the dough well. Just use your hands and spread it on. Finally add about 1-2 teaspoons of cinnamon to taste. 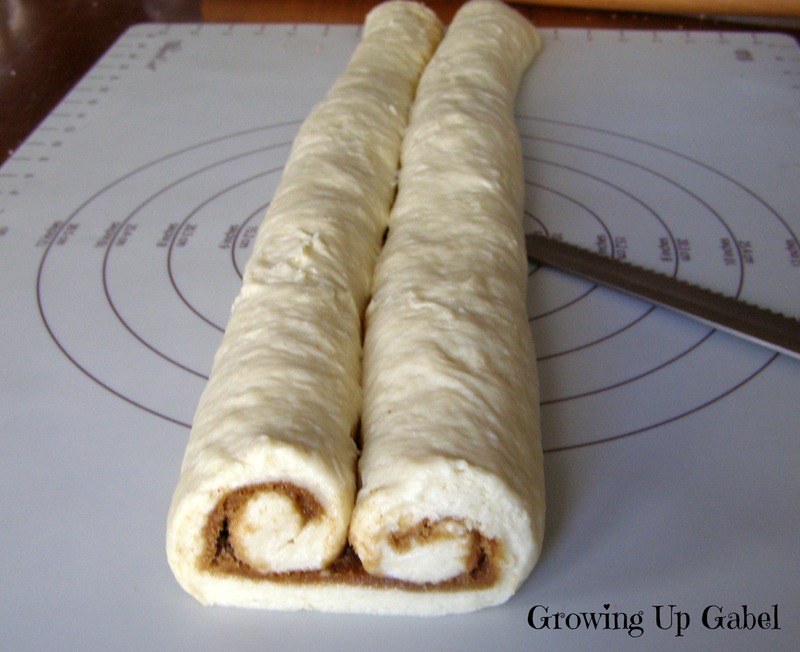 Next, roll both of the long sides of the dough rectangle in to the center until they meet. Just go slowly and use some flour if the dough sticks. Slice the long roll in to individual rolls – about 2″ each. Gently put the rolls in to a greased baking pan and pinch the bottom to make the point of the heart. Bake according to the cinnamon roll recipe directions. If you are just using the basic pizza dough, bake for about 20-30 minutes at 375 degrees until the tops are browned and the insides are baked through. Decorate the same as the canned cinnamon rolls above. You'll need to make your icing. A simple mixture of powdered sugar and milk plus a little melted butter works great. 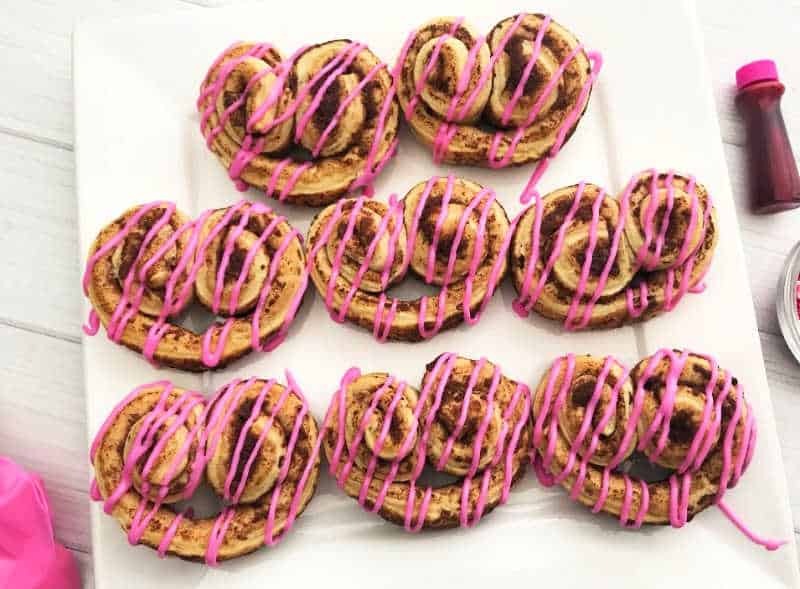 Make heart shaped cinnamon rolls either from scratch or using a can of store bought cinnamon rolls. Either way, your family will love these for breakfast! Make cinnamon roll dough according to recipe instructions. Allow to rise through first rise. Roll out dough in to a rectangle about 16 inches long and 12 inches wide. Brush 4 Tablespoons of melted butter on to the dough. Sprinkle with enough brown sugar to cover the dough well. Just use your hands and spread it on.Finally add about 1-2 teaspoons of cinnamon to taste. Roll both of the long sides of the dough rectangle in to the center until they meet. Just go slowly and use some flour if the dough sticks. Slice the long roll in to individual rolls - about 2" each. Gently put the rolls in to a greased baking pan and pinch the bottom to make the point of the heart. Frost and decorate as below. Open the cinnamon rolls and discard the packaging. These are just too cute! Thanks for linking up with What’s Cookin’ Wednesday! 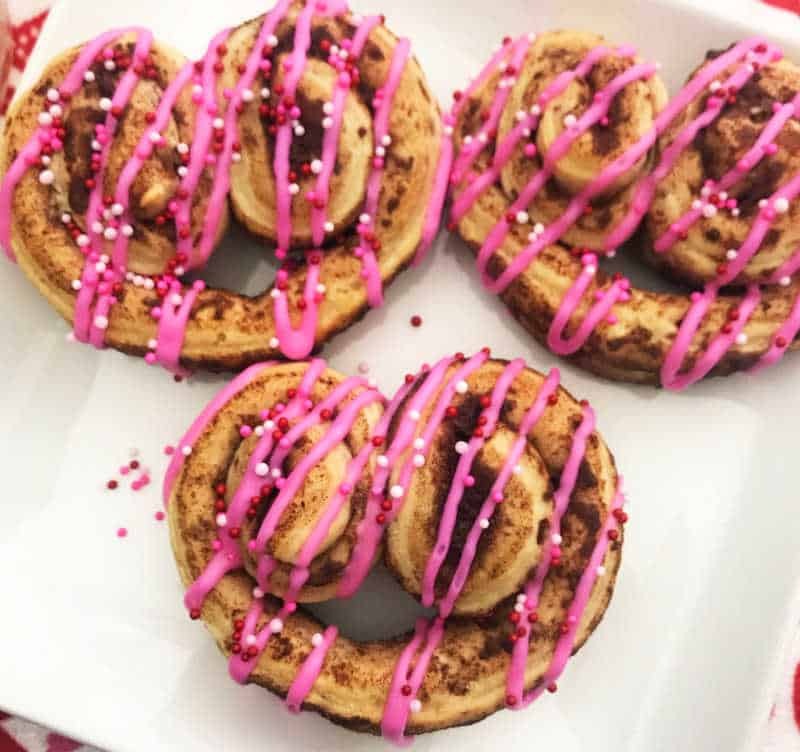 Great Cinnamon Rolls for Valentine special treat! Hope you are having a great weekend and thanks so much for sharing with Full Plate Thursday. these look delicious, I love the heart shape! Oh my goodness,Camille! THese not only look delicious, but are so so adorable! Guess what I’m making for Valentine’s weekend! Pinning and putting them on my FB page. Thanks for joining THE SCOOP! What a cute idea! Thank you for linking these up and sharing them. 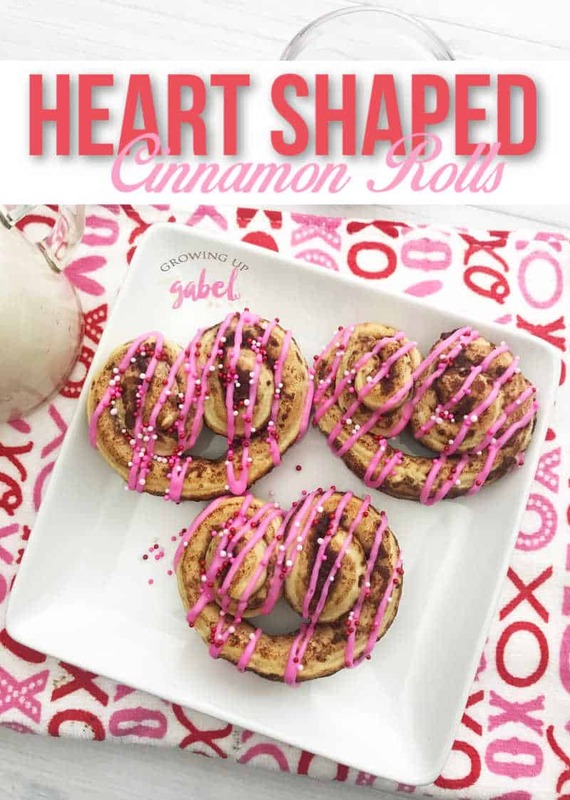 These would make for a really fun Valentine’s morning breakfast! We had them last year for Valentine’s Day and the kids loved them! Love this idea! In my opinion everything tastes twice as good, if it looks that lovely! How clever! They are adorable and they look yummy! I will be book marking this as a must make! So cute! 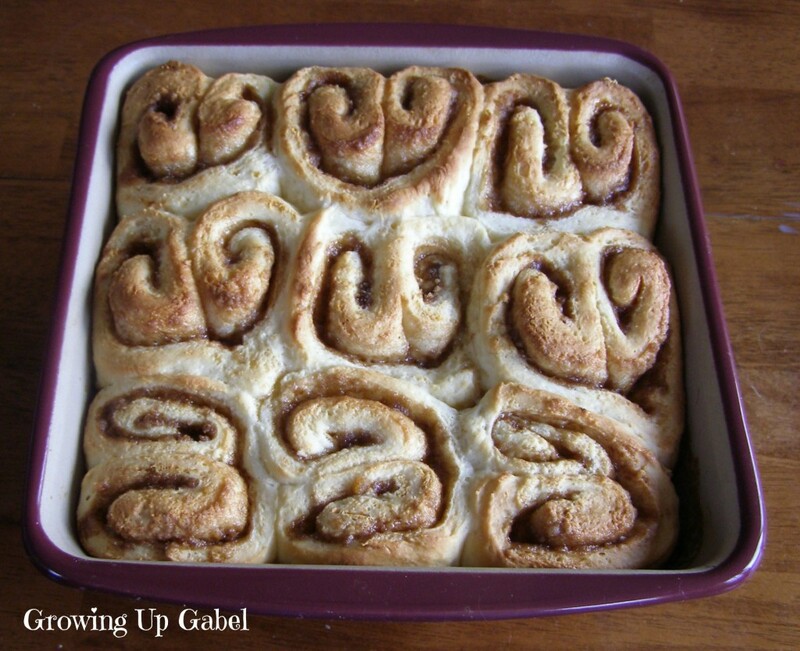 I use my bread machine to make my dough..love homemade cinnamon rolls! Such a great idea! Ah the bread machine! I keep thinking about getting one to make dough prep easier but haven’t bitten yet. These are adorable! 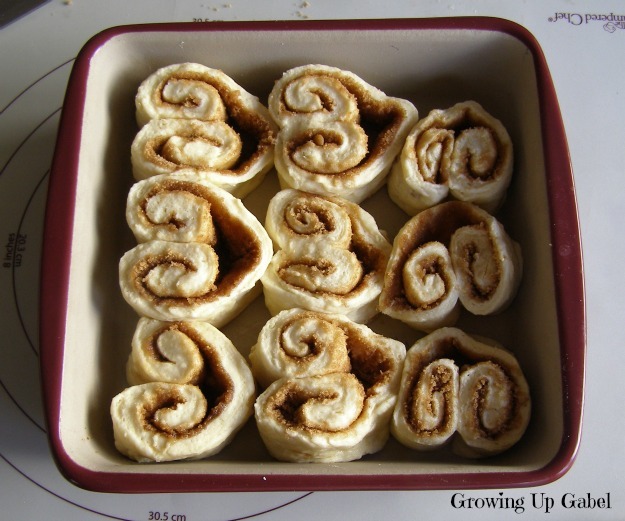 We love cinnamon rolls and these are too fun – I pinned it for the future. Found you at the Practically Functional link party. Ohhh yum yum yum… my Grandmother and I used to make these YEARS ago! I will have to do it with my girls now!